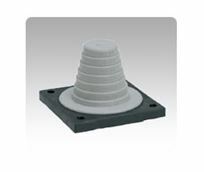 Icotek's membrane based cable entry plates are designed for routing standard cables (without connectors). 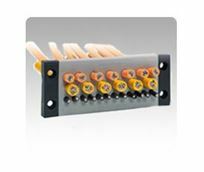 These compact, slim and innovative design cable entry plates are suitable for applications where a lot of cables have to be routed in a small space. The assembly of the cable entry plates can be done within seconds. Either push the cable through the thin membrane or simply put a small slit in the thin membrane and push the cable through. Once the cable is through the membrane, it is immediately sealed and strain relieved. In comparison to traditional solutions such as standard cable glands and cord grips, the packing density is greatly increased. Most models are available in grey (RAL 7035) and black (RAL 9005).